"What makes two? All sorts of things. A bicycle's wheels. A bluebird's wings. And twins, as you can plainly see, Are just as two as two can be." 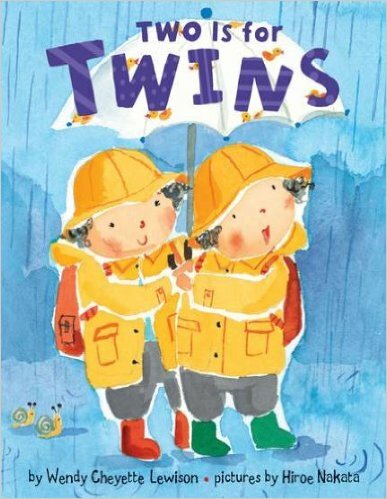 This brightly illustrated board book is a buoyant, bouncy ode to the joys of twindom. Perfect for children who are twins, and just as perfect for children who aren't!s.